Pogba, De Gea considering United exits? The Red Devils have been in contract discussions with the duo over the past year, but so far, there have failed to find a breakthrough with either in terms of an extension. According to The Times, the pair are currently assessing their futures at the Old Trafford outfit, and they could push for potential exits, should the club fail to qualify for Europe's prime competition next season. 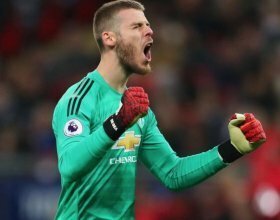 De Gea is presently on the radar of French giants Paris Saint-Germain and reports indicate that United could ponder his sale with his contract expiring in 15 months' time. Pogba, on the other hand, has more than two years on his current deal, but the alleged interest from Real Madrid has triggered speculation whether he would remain with the Red Devils beyond the summer.